Best Buy may have accidentally leaked that YouTube and Netflix compatibility could be coming to the Nintendo Switch. 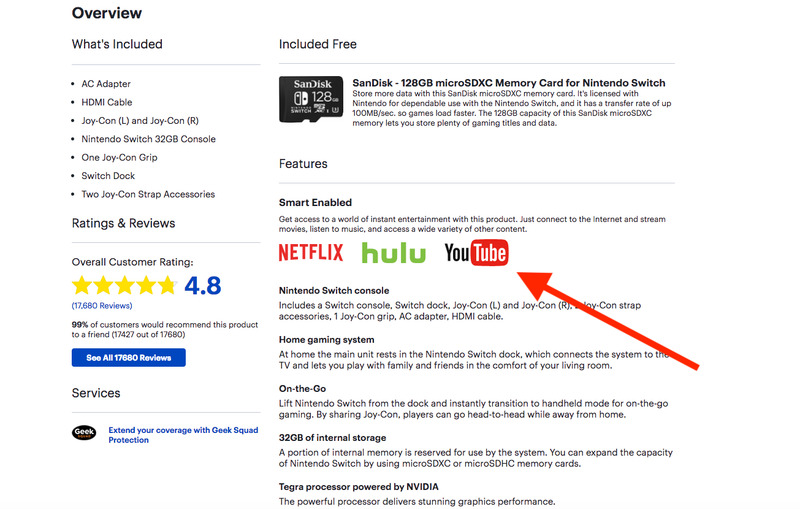 A listing for the game console on Best Buy’s website describes the Switch as being compatible with Netflix and YouTube, a feature that Nintendo had not yet announced. The new compatibility was likely to be announced tomorrow morning at Nintendo’s press conference as part of the annual Electronic Entertainment Expo. 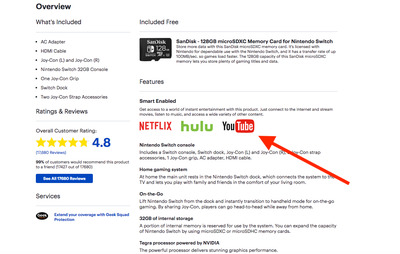 A product listing on Best Buy’s online store may have accidentally revealed new video streaming capabilities, including partnerships with Netflix and YouTube, coming to the Nintendo Switch console. If the feature is indeed being introduced to the Switch, it was likely intended to be announced at Nintendo’s press conference scheduled for Tuesday at the Electronic Entertainment Expo. E3 is the biggest gaming conference of the year, where many video game and console companies-including Nintendo-like to make big announcements. The listing describes the console as being “smart enabled,” and says that the user will be able to “stream movies, listen to music, and access a wide variety of other content” through the internet, before listing the logos for Netflix, Youtube and Hulu. Hulu has been available on the Nintendo Switch since November, and was the first streaming platform to be introduced to the console. Nintendo’s E3 press conference will start at 12 p.m. ET on Tuesday.